Vandalia, Illinois is where Abraham Lincoln began his political career. Here he served as a State Representative, and it is here that he first met Stephen Douglas. Vandalia was the starting point of a political career that would lead him to become one of our greatest Presidents. Throughout the city we have erected ten Looking for Lincoln Wayside Exhibits. Each exhibit relates a specific and special moment in the life of the Great Emancipator’s time in Vandalia. 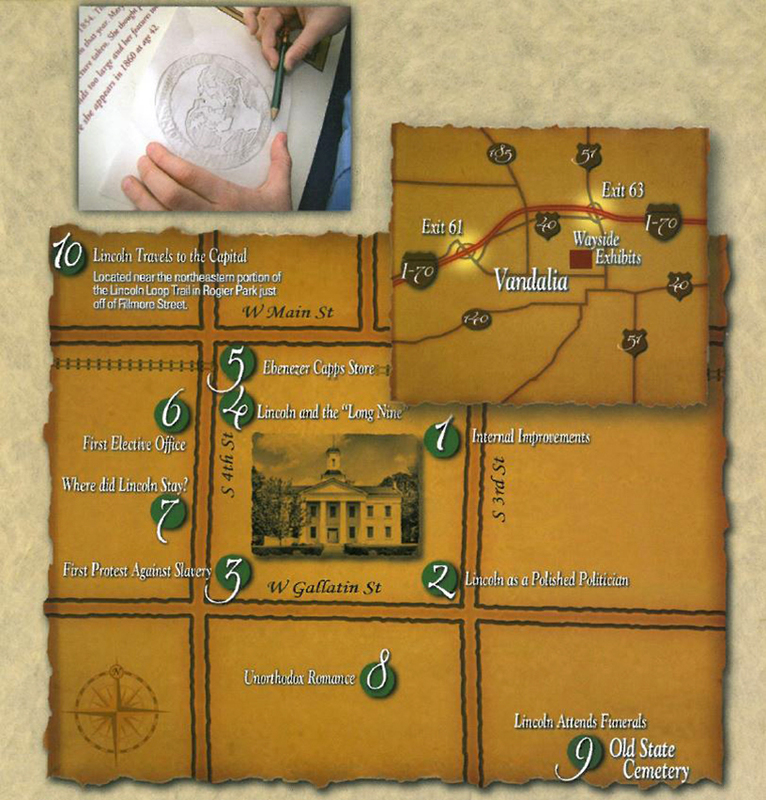 Bring along paper and pencil and create a “graphite rubbing” of each of the medallions embedded in every exhibit, so you can take home a genuine, frameable Lincoln souvenir keepsake. See the map below for more information and locations of the 10 exhibits.